This is the moment! 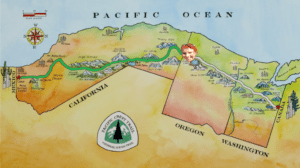 Lianne Dijkhuizen from Haarlem, our community member and ambassador of Haarlem.tech is ready to start her adventure in Pacific Crest Trail. Our small girl is going to hike 2600 miles from Mexican to Canadian border.